Discussion in 'Console & PC Gaming' started by GTPNewsWire, Feb 12, 2019. 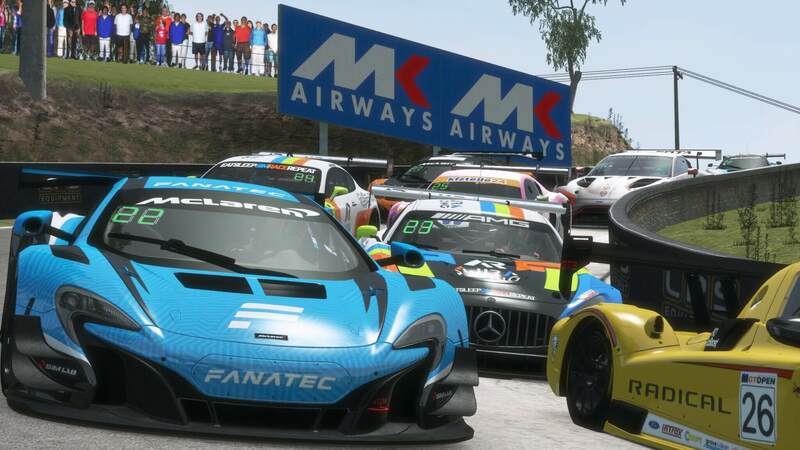 This article was published by Jimmy Broadbent (@Jimmy B) on February 11th, 2019 in the rFactor 2 category. andrew84555, monkeywall, MrCrynox and 1 other person like this. Best article on gtplanet in recent memory, thank you. It's always been my favorite track, in fact I'm constantly in the S397 server practicing. Marcel Offermans was racing this past weekend with us at Bathurst it was brilliant running with the man in charge of rF2. He is quite quick, I was running 2:07s in the Aston, he was pushing high 2:05s. andrew84555, WanganGhost and Rosinbag1 like this. I love bathurst. One of the best ways to get me to play GTS is daily GT3s on bathurst. Its just so thrilling. It, along with bathurst, remind me of something out of an arcade racer; almost ever corner is a multitasking challenge, cornering, braking, coasting and accelerating all within one second of driving. I managed a 2:01.4 last time it was up on GT3, and considering I rarely play the game I was pretty proud of that time. Victoria H, WanganGhost, Rosinbag1 and 1 other person like this. I definately agree Bathurst is one of the top tracks on this planet. The best bit is that it provides fierce, intense racing regardless of the cars, slow or fast! Point proven a few years back when @Vic Reign93 and I dueled at Bathurst in stock EG Civics, and it ended in a dead heat! gladbecker82, andrew84555, Dylan and 2 others like this. Vic Reign93 and Nismonath5 like this. One off my fav tracks! Well it does take two to put on a show and that race is definitely up there as one of my favourites(No bias I swear. ). gladbecker82, Nismonath5, WanganGhost and 1 other person like this. kembro, andrew84555, Fabr_123 and 4 others like this. I think bathurst is alot like Monaco a bit. Get it wrong a bit and you are in a wall. But get it right and its magic. Ohh so good. Michael88, Rosinbag1 and Nismonath5 like this. If anyone gets the chance, visit the real road. Not that the game doesn't show the realness of the blind corners and the concrete walls. It's more about driving at the road legal limit and coming to grips with cars doing three to four times the 60km/h limit! I was driving under 60km/h taking in "how?". From the classic Touring Car Masters(TCM) muscle cars to Supercars to GT3, it IS insane to drive those cars that fast... and in packs!... following bumper to bumper!... and sometimes in the dark! Drivers may be brave, but they respect the mountain. kembro, Rosinbag1, MrCrynox and 1 other person like this. What I've never understood about Bathurst is why half its length is rectangular. The good stuff is a wild drive, but the rest is like waiting in line for another turn on the rollercoaster, particularly in a sim racing context. I love Bathurst - especially at night! And I wish we could also race at Longford, Tasmania! kembro and Michael88 like this. I absolutely adore it as a circuit, it's one of the few that I can seem to get consistently fairly good times on. I just love how the car will sink into that turn at the bottom of The Dipper and will give you a bit of extra grip. It feels like you're playing a Wipeout game. Rosinbag1 and Nismonath5 like this. bathurst keeps me on edge for the whole lap,there's no dull moment in this track. Victoria H, Nismonath5, Michael88 and 1 other person like this. After setting up my new tv this track will be my first 4k experience in gaming. Nismonath5 and Rosinbag1 like this. Great track, definitely one of the most challenging for me. kembro, andrew84555, Nismonath5 and 1 other person like this. It's a street circuit. When it's not race weekend it's an open road with a 60kph speed limit and crawling with cops. Another thing it's missing is kangaroos. Victoria H, Nismonath5 and Rosinbag1 like this. A circuit partly made up of a public road, or a circuit that is opened to the public? The Nordschleife or Circuit Gilles de Villeneuve are opened to public traffic, but the Nordschleife is not really a "road" and CGdV is not really a "street". kembro and David Brooks like this. A circuit entirely made up of public roads. Like @CapraKiwi said when it's not being used, it's got a 60km speed limit and is absolutely swamped with police, due to the number of thrill seekers who would love to go blasting down Conrod straight in their daily. In fact, drive a lap on any sim and you should be able to spot most of the blocked off streets, driveways and access roads. Partly made up of a public road. If you look at for example the Bathurst 12 hour schedule, there are the slots where the close and open the roads. A circuit entirely made up of public roads. Wow, I didn’t know that. I knew about Conrod but thought that it’s a mixture like Le Mans. Nismonath5 and Wolfe like this. This track used to be a nightmare for me because of the incredibly difficult corners in the mid-section of the track. I've always loved Bathurst since TOCA on PS1. 99% of my racing in that game was done on that track So much so that when I drove the much more accurate version in GRID Autosport and GT6 many years later, I felt immediately at home. The esses at the top of the mountain has such great flow and always a great help to close down on my opponents. It's a nice change of pace,otherwise the track would be overwhelming,one lap full of twists and tight turns that never end.